A fundamental resource any biblical studies student needs is an anthology of ancient Near Eastern texts which contextualize biblical writings. So naturally, several such anthologies have been complied and published by biblical studies publishers. Perhaps the largest and most comprehensive example is the 4-volume set Context of Scripture, edited by William W. Hallo and K. Lawson Younger, while James B. Prichard’s The Ancient Near East: An Anthology of Texts and Pictures is perhaps the best known and most widely used. There are several others—nearly every serious publisher in the biblical studies field has done one, and no two anthologies are the same. Each is necessarily selective with what it includes and excludes, and different selections are made depending on the purposes and biases of those doing the collecting. Furthermore, such collections need not be limited to texts. Pritchard’s anthology is of texts and pictures, providing images of hundreds of artifacts, ruins, and pieces of art that add context to biblical passages. Clyde E. Fant and Mitchell G. Reddish’s Lost Treasures of the Bible: Understanding the Bible through Archaeological Artifacts in World Museums provides a compendium of relevant information on a wide variety of ancient artifacts (including inscriptions) and how each is relevant to understanding biblical texts. Even inscriptions are often just as important as artifacts (and not just as texts), and so visuals along with translations are often beneficial. As useful as these sorts of collections have proven for biblical studies, if it is unfortunate that no one has made a similar effort to compile anthologies of texts, inscriptions, and artifacts which are relevant to the Book of Mormon. Since the publication of Hugh Nibley’s first Improvement Era article in 1948, there’s been an impressive outpouring of scholarship comparing the Book of Mormon to various ancient sources, including artifacts and texts from two vastly different regions of the world (the Near East and Mesoamerica). Yet few people—if indeed any—know much about more than a handful of these ancient sources and how look them up or find more information on them. To remedy this situation, I am starting a new blog series called Nephite History in Context: Artifacts, Inscriptions, and Texts Relevant to the Book of Mormon. The aim of this series will be to essentially create an anthology of relevant primary sources one item at a time. Each post will take either an artifact, inscription, or another text (or an excerpt from a text), provide some brief background and context for that item, a translation and/or image of the item, and then a brief discussion of its relevance to the Book of Mormon. I’d love to tell you all about my selection methodology, but truth be told I don’t have one. At least, not one I can articulate at this point. It’s somewhat intuitive at this stage. Anything I think sheds some light on the Book of Mormon is eligible for consideration. Of course, just as with the collections of documents complied and edited by and for biblical scholars, my selections will reflect my own biases, but I am also open to suggestions, so if you have any ideas please feel free to suggest them to me. 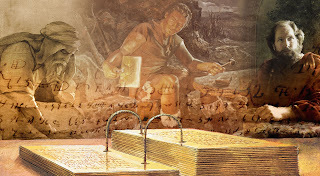 It is important to understand that the goal of this project is not to “prove” the Book of Mormon is true, although many of the ancient sources could be seen as evidence of that. Rather, the intent is to, as the title of the project indicates, contextualize. I personally believe that contextualization has greater potential to strengthen testimonies than proofs or evidences do: the more we can get people to actually read the Book of Mormon in context as an ancient text, the more likely they will be to maintain belief in it as an ancient text in the face of criticisms—especially since many of the perceived “problems” are, in my opinion at least, the product of reading the text with modern eyes. My goal will be to do one such post a month, though I am very busy and may not be able to keep up with that pace. I may perhaps, at some point, ask others who are well informed on relevant sources to contribute to this effort. All of these posts will be gathered into one place under the new “Nephite History in Context” tab, and will have a formatted PDF that accompanies each post, providing a more formal “citable” version (for those who are crazy enough to cite a nobody like me, anyhow). I intend all of this to serve as a precursor to another project, which I am calling The And It Came to Pass Project, where I plan to actually write full essays contextualizing Nephite history, taking the Book of Mormon seriously—and treating it critically—as a primary historical source. I’ve had a separate blog created for that project, and will make these primary source posts available there as well as a supplemental resource. Now, I realize that the thought of reading about ancient primary sources probably doesn’t get a lot of people excited. 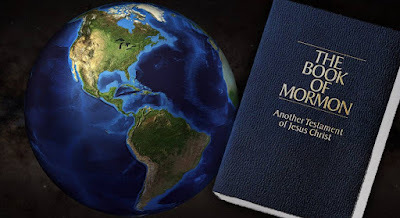 But if you are at all interested in better understanding the Book of Mormon, I hope you will follow along with me as I go through what I consider some of the most important sources from ancient Israel, Arabia, the broader ancient Near Eastern world, and pre-Columbian Mesoamerica. I’ll do my best to explain why these sources are important for understanding the Book of Mormon better and to keep things interesting. My own understanding of the Book of Mormon has benefitted from studying ancient sources, and it is my hope that through this project I can pass some of that understanding on to others. It sounds like a fascinating project. I look forward to seeing what you come up with! I'm an engineer, not a historian, but I've always appreciated your insights on BoM scholarship.